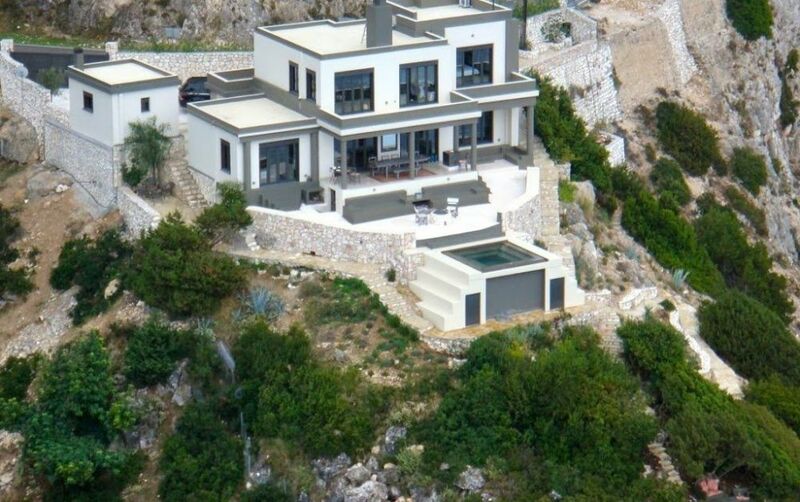 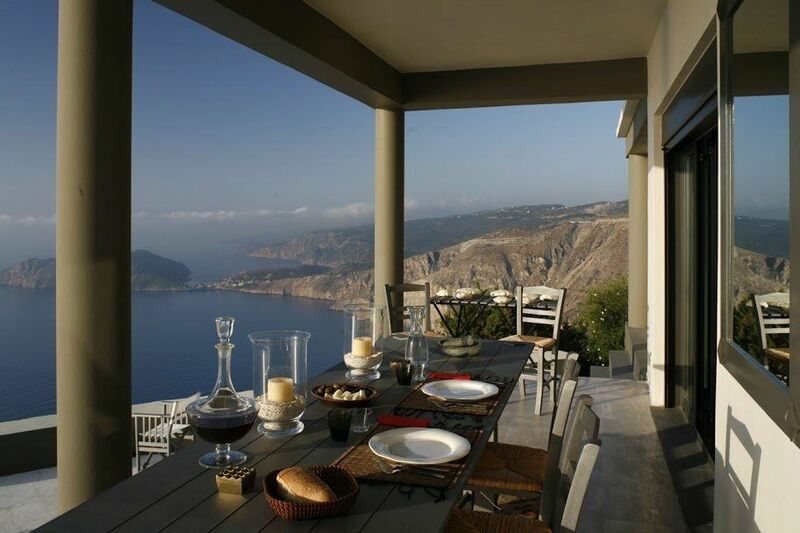 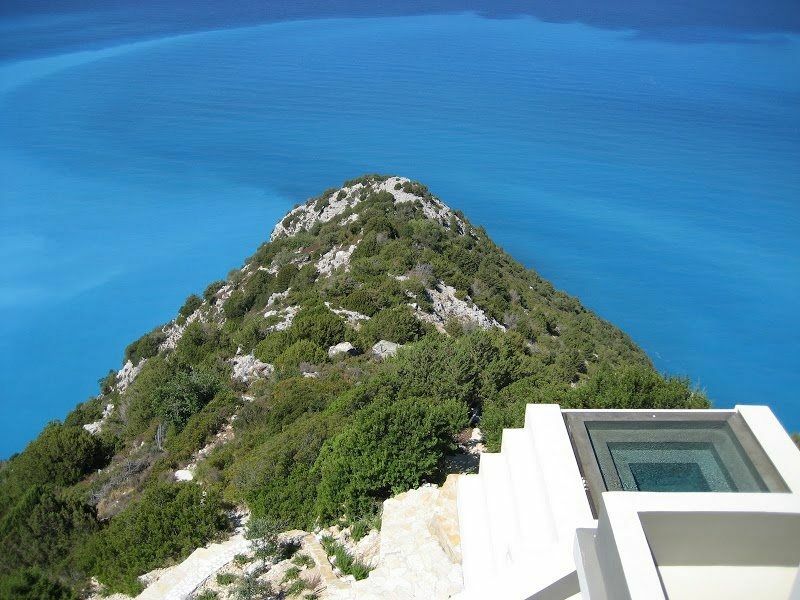 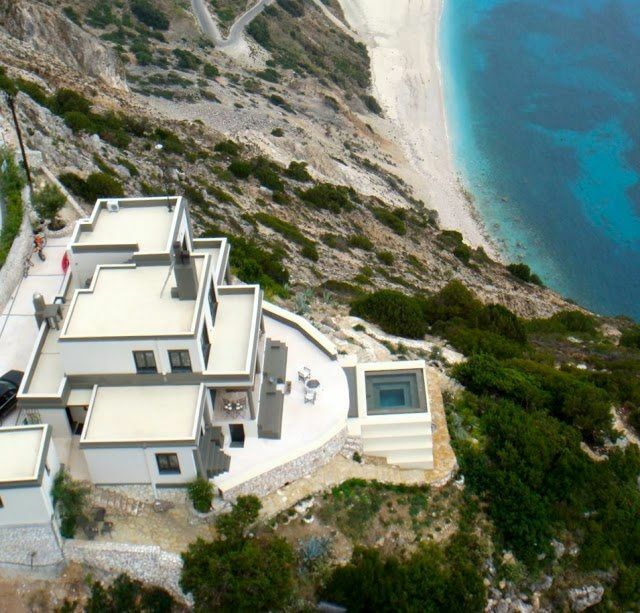 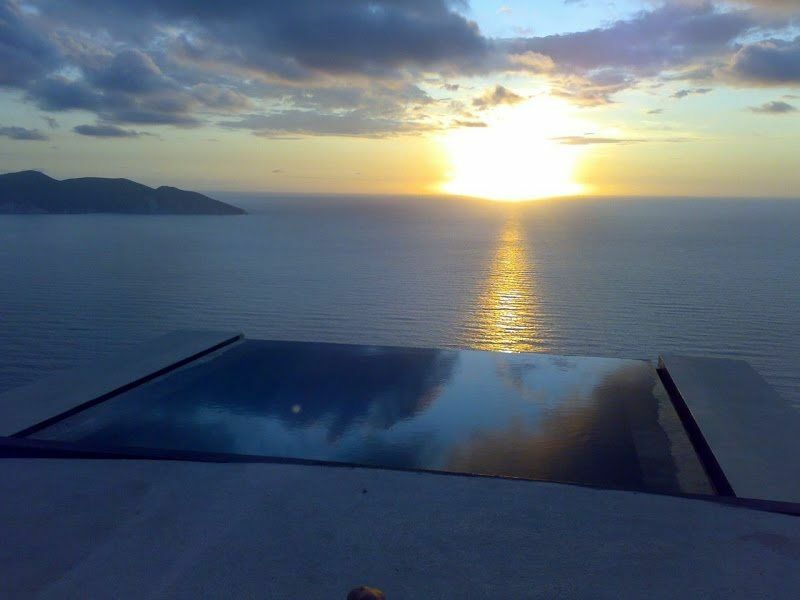 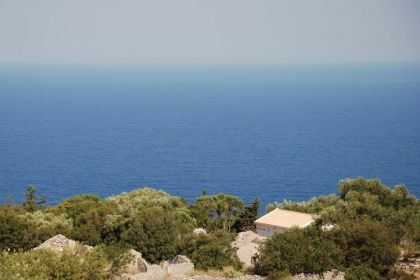 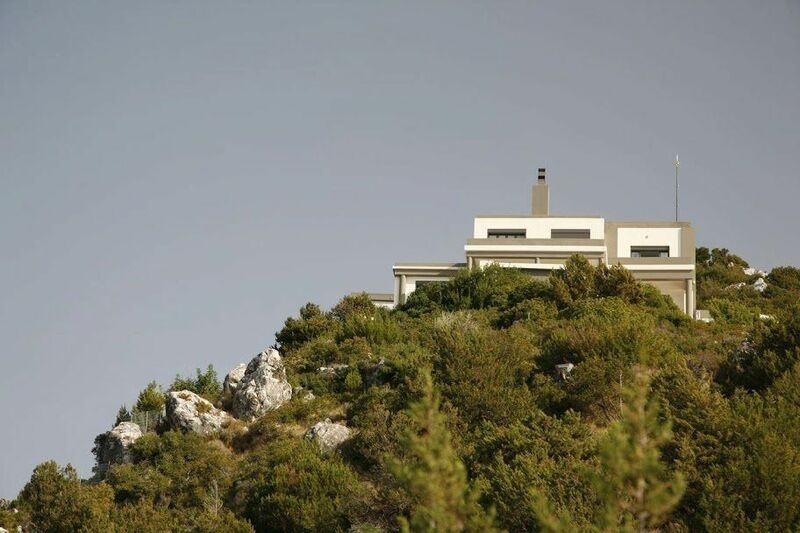 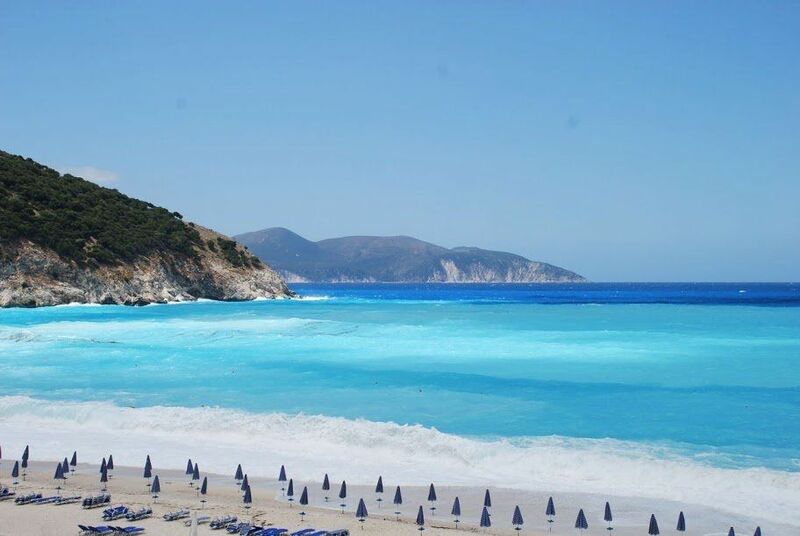 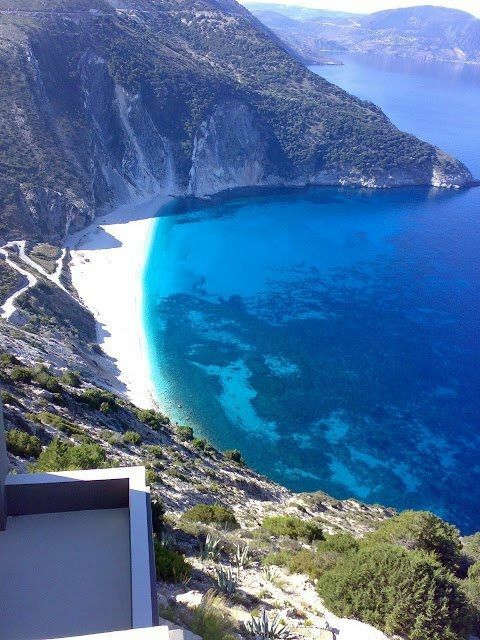 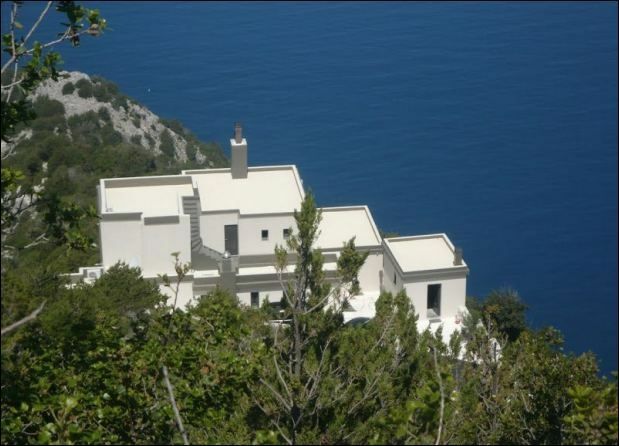 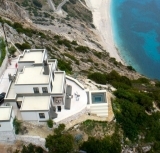 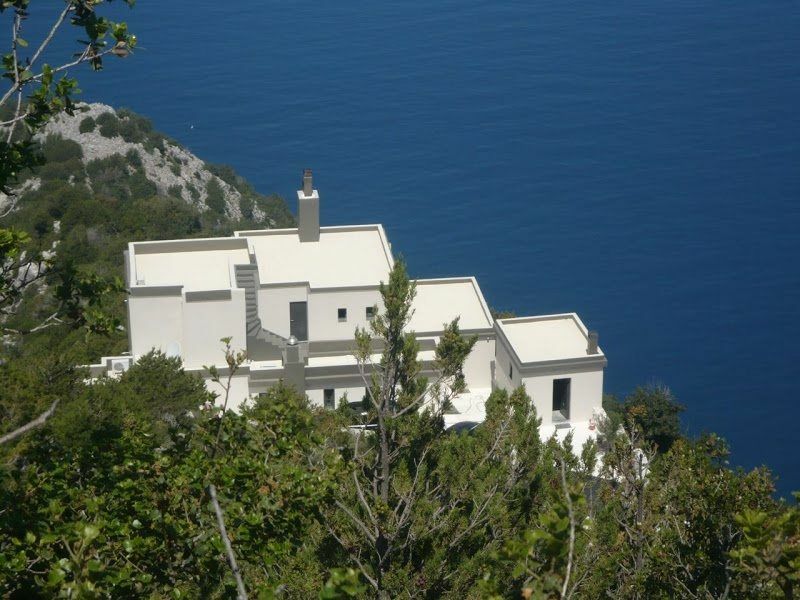 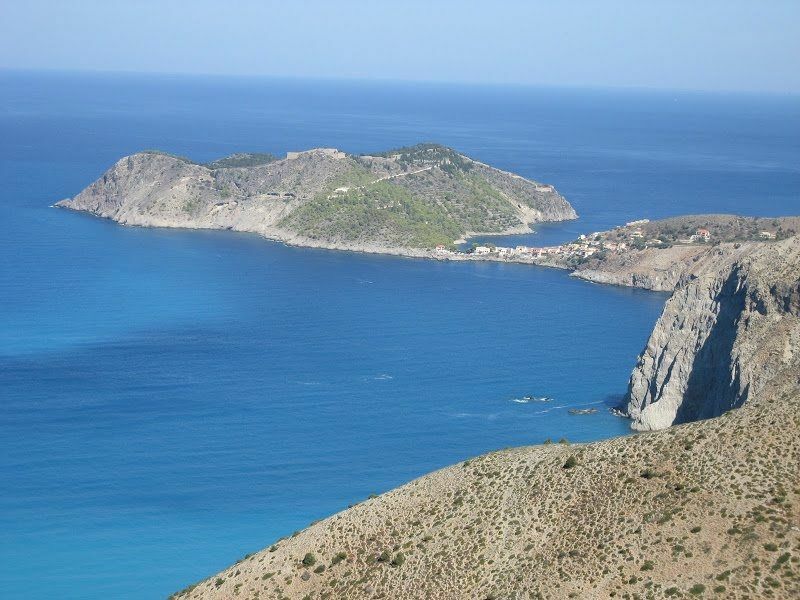 Villa for rent in Kefalonia, with 4 bedrooms, can accomodate 7 guests. 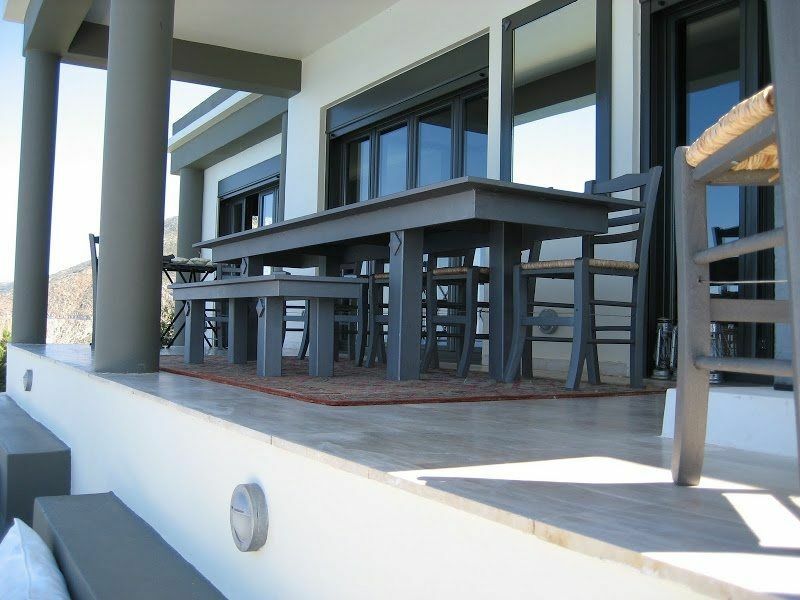 The Interior: Walking through the gated entrance, the sense of privacy within the property is apparent. 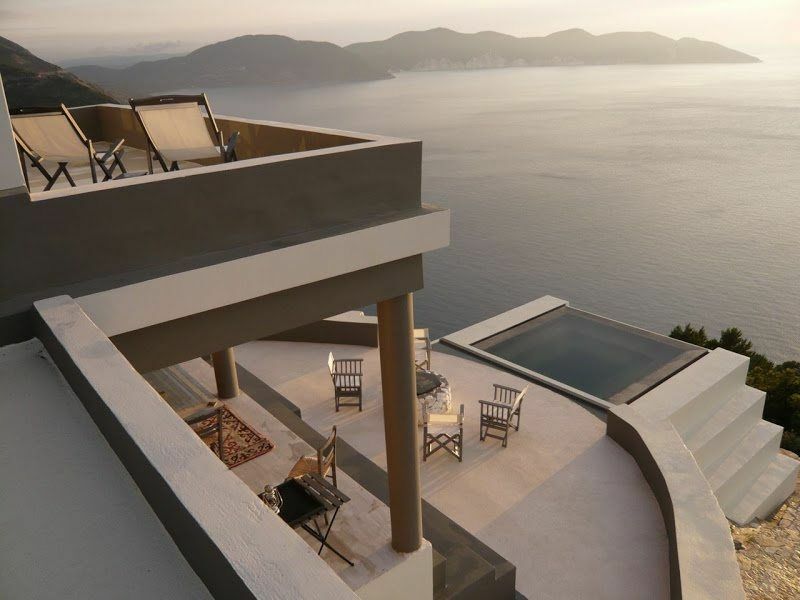 One is struck immediately by the uniqueness of the architectural design and interiors, from the contemporary lines of the building to the dark metallic paintwork combined with floor to ceiling glass and sliding windows to take in the breathtaking views. 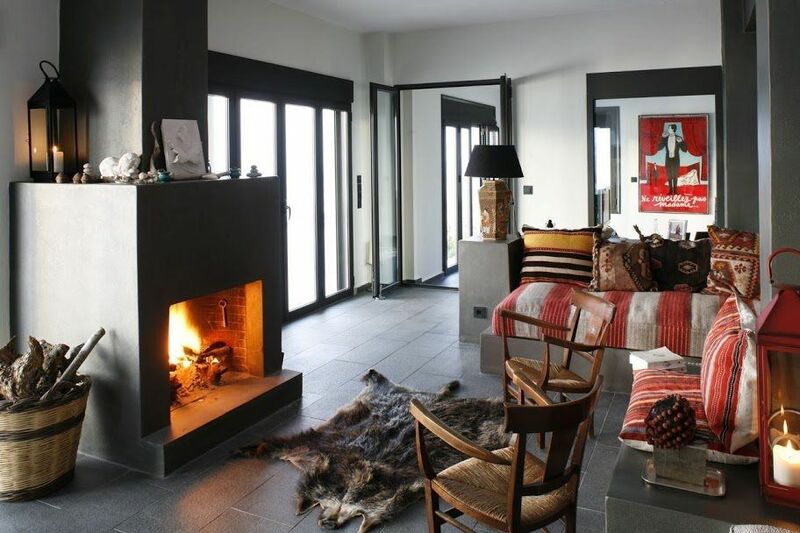 The main living area features a central fireplace surrounded by built-in divan sofas covered in ethnic style fabrics that soften the starkness of the charcoal grey, metallic paint work. 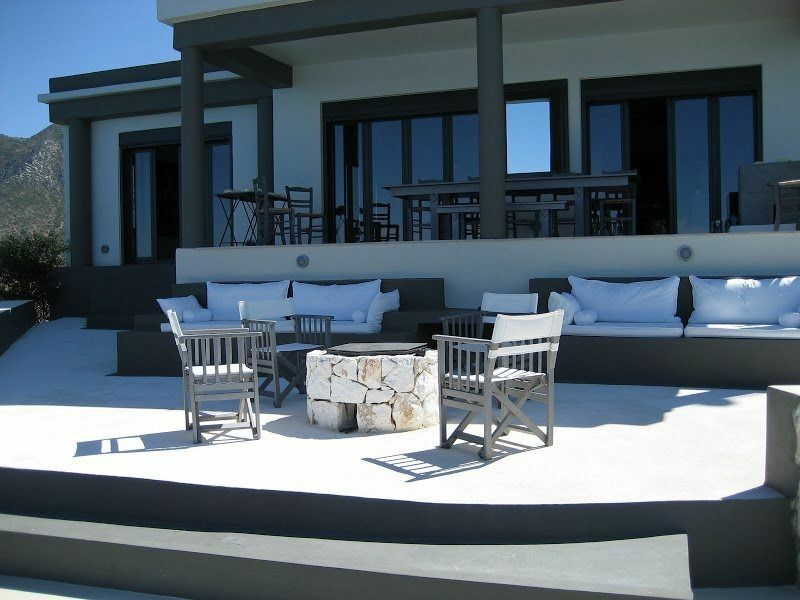 To the right of the main living area is a TV/chill-out room which is divided from the living area by a large glass window The modern styled kitchen includes a traditional wood-fired oven as well as a sophisticated array of modern appliances suitable for a property of this distinction. 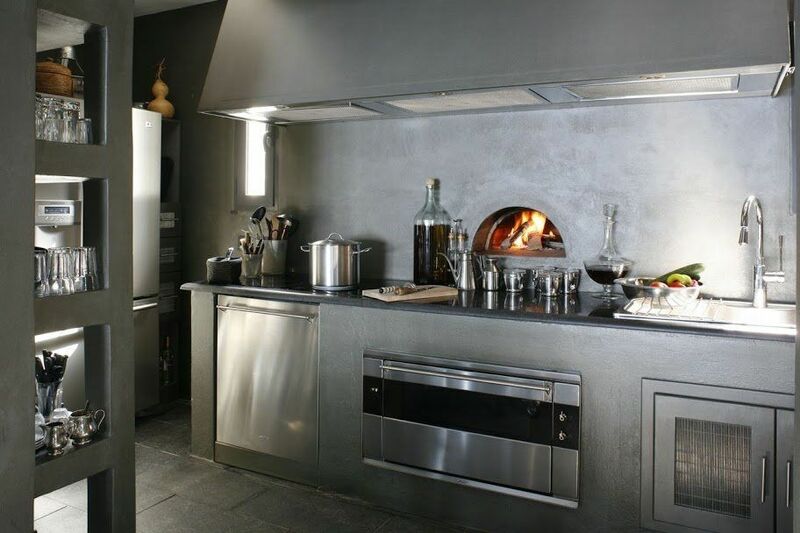 The kitchen is a great place for cooks to entertain whilst guests enjoy each other’s company in the elegant dining area. 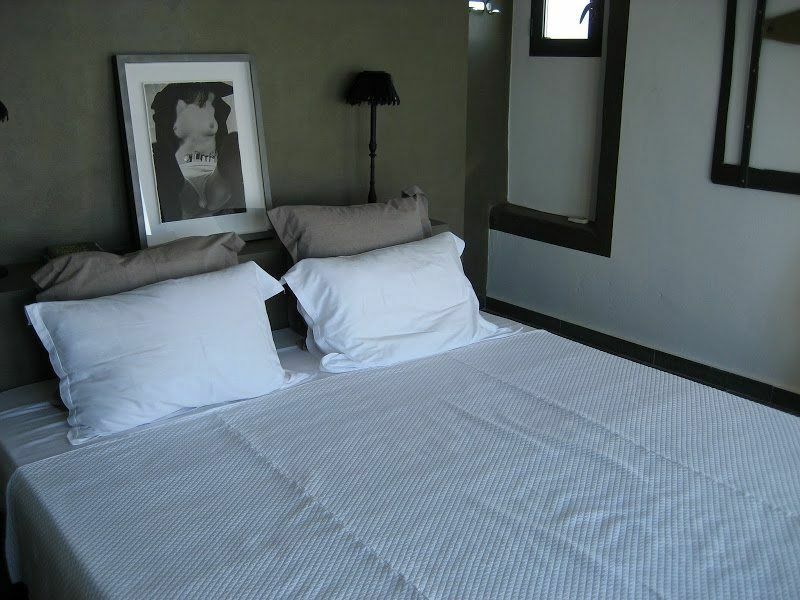 -1 single bedroom in the guest house with bathroom in suite. 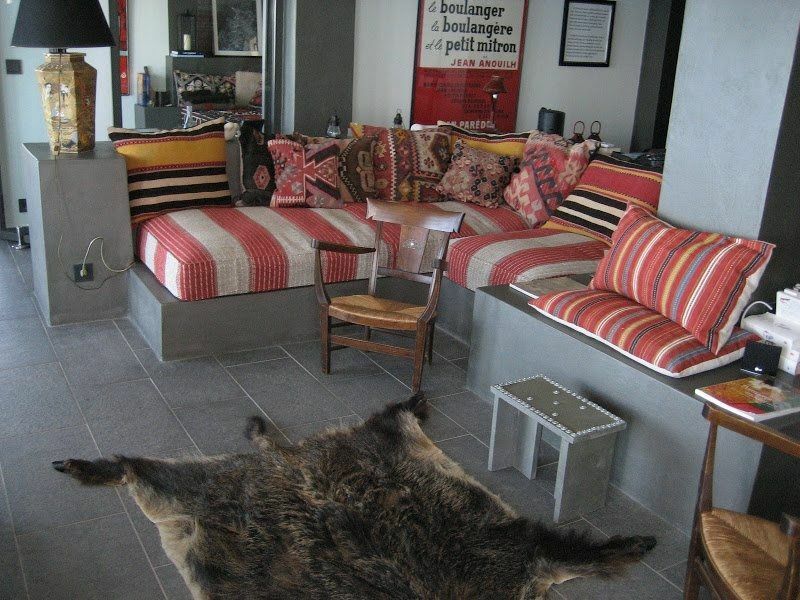 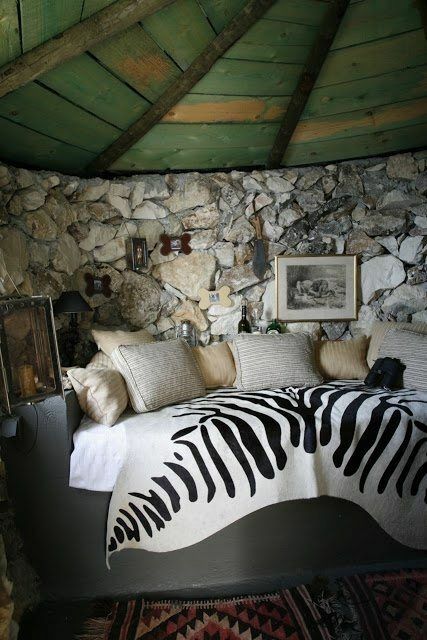 -Daybed in the old renovated shepherd’s stone house with shower and WC. 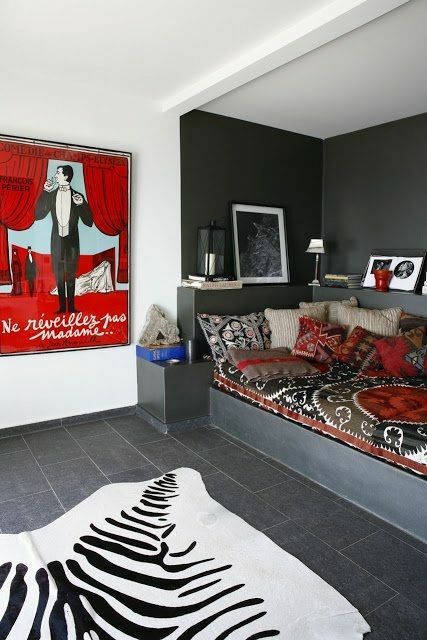 TV flat screen in all bedrooms except in shepperd’s house To the left of the living-room area is a double bedroom with en-suite facilities that benefits from large, sliding glass windows which lead out to the first of many outside levels. 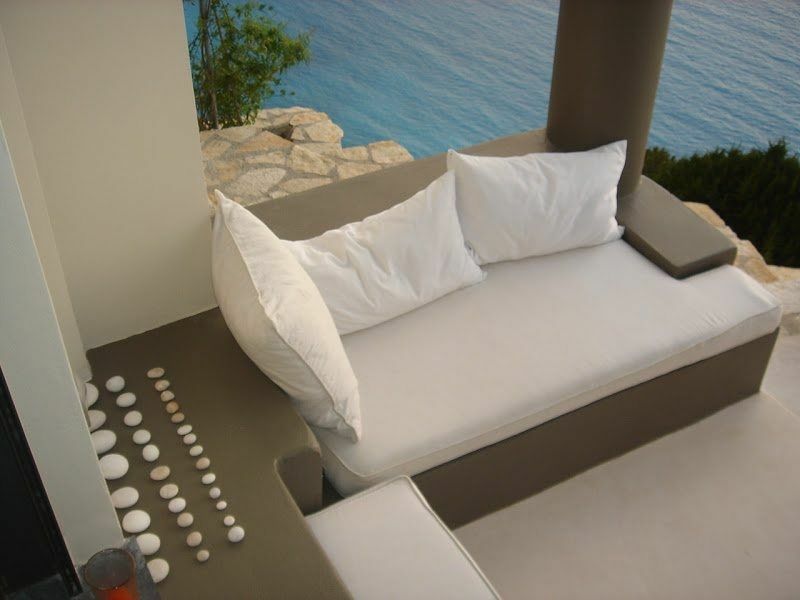 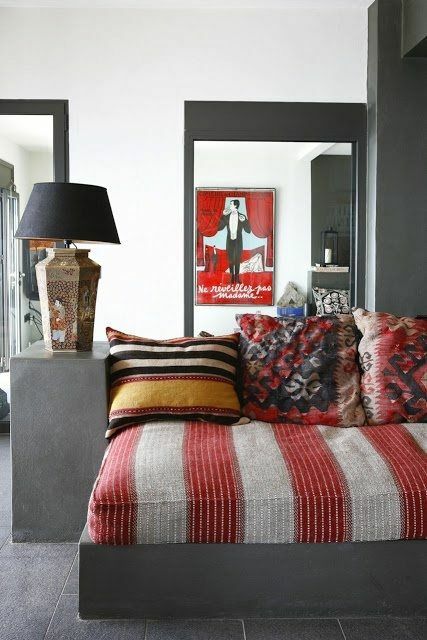 On this level, there is an elegant seating area with in-built benches with colourful pillows and scatter cushions. 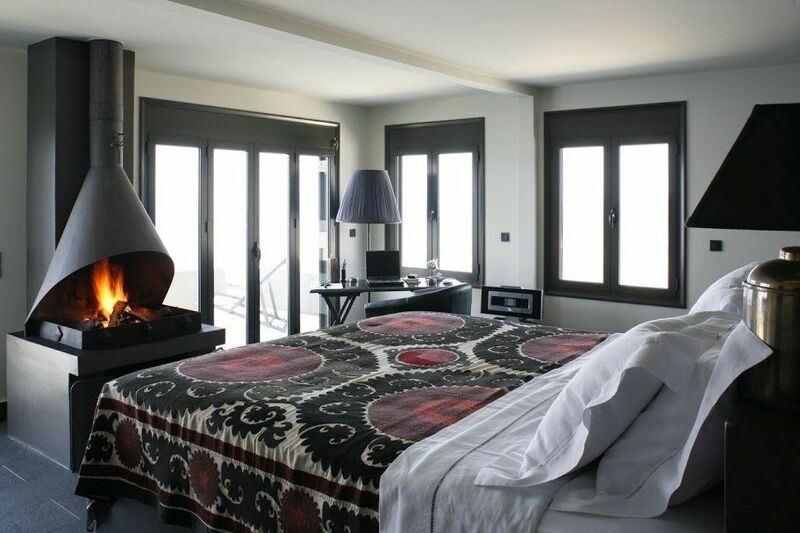 On the upper level , there is a master bedroom suite with double bed and impressive metal fireplace There is an en-suite bathroom and dressing area, as well as a reading desk and private terrace. 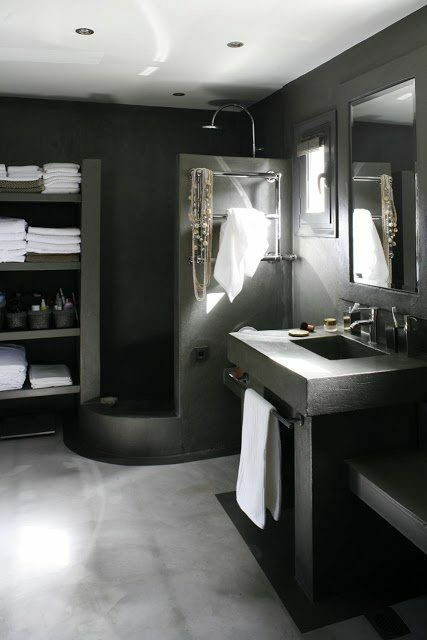 On this level, there is also a second double bedroom with separate bathroom area. 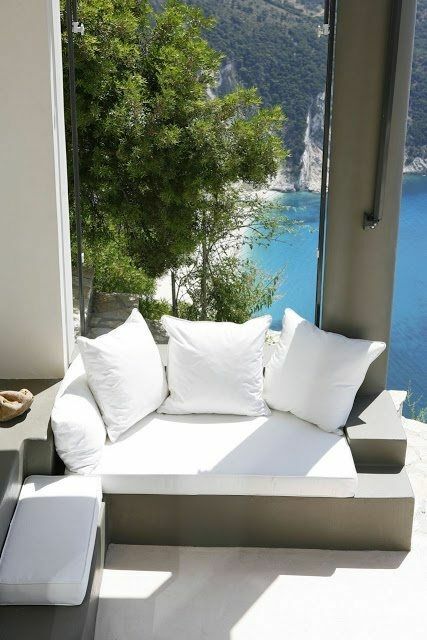 Large floor to ceiling glass windows take in the spectacular view. 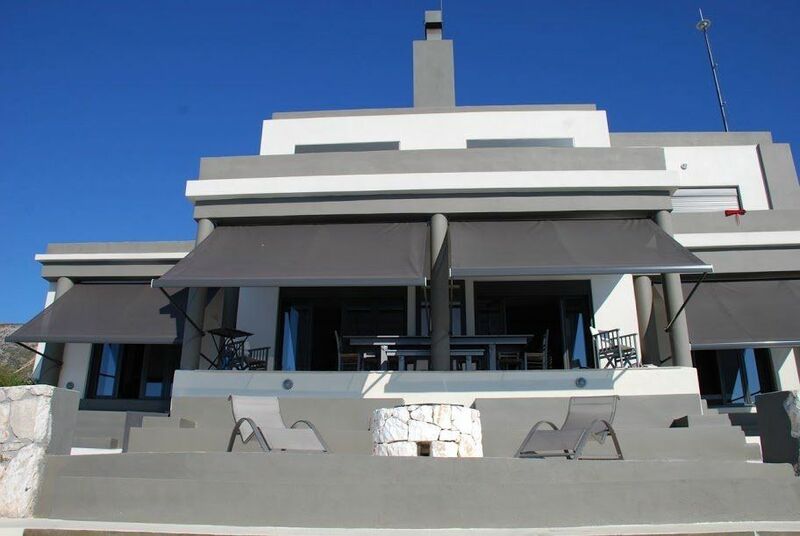 To the rear entrance of the property is a lovely guest house furnished similarly to the main house which contains a bedroom with single bed and en-suite bathroom facilities. 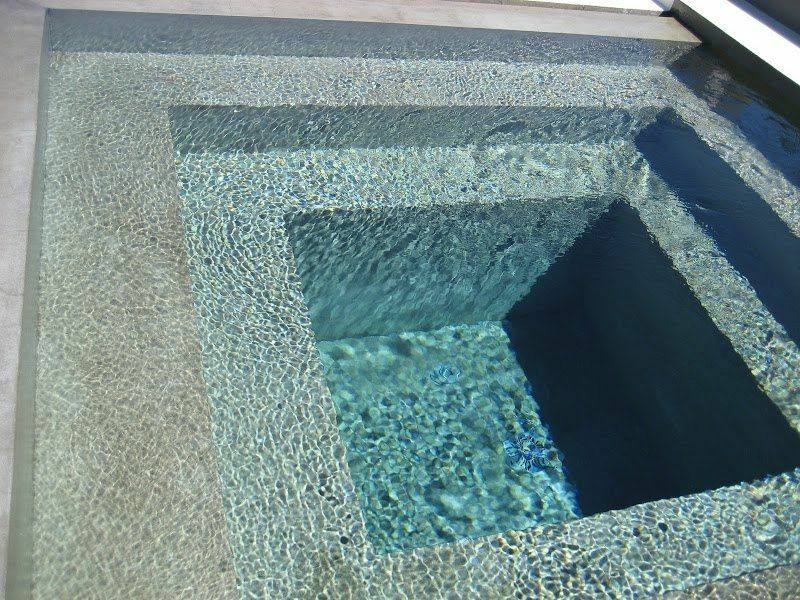 The Exterior : The outside of the property is equally impressive as the interior with the crowning feature being an altar-esque, infinity plunge pool seemingly offering the bathers up to the gods! 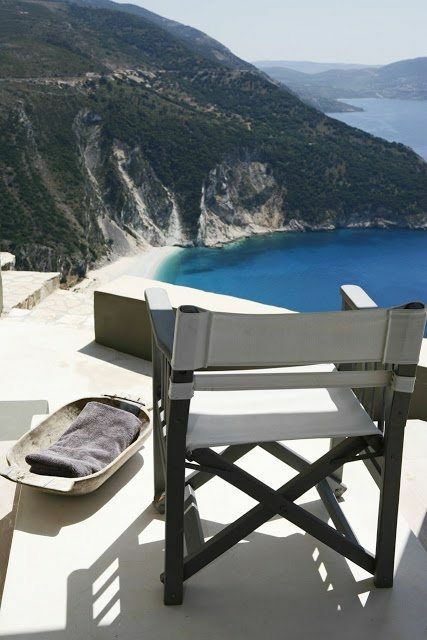 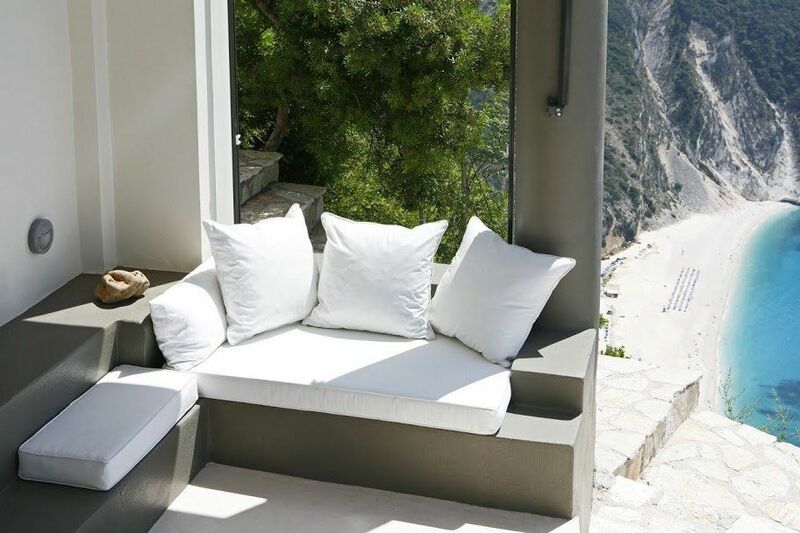 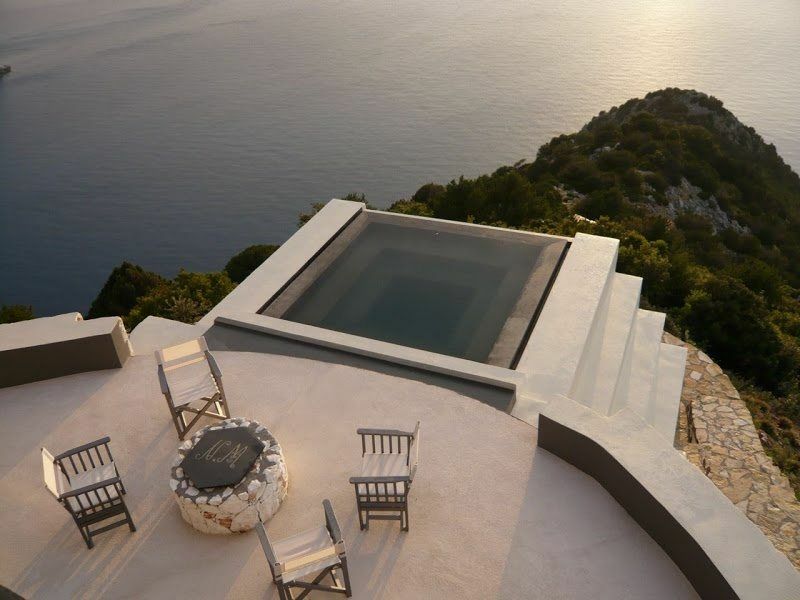 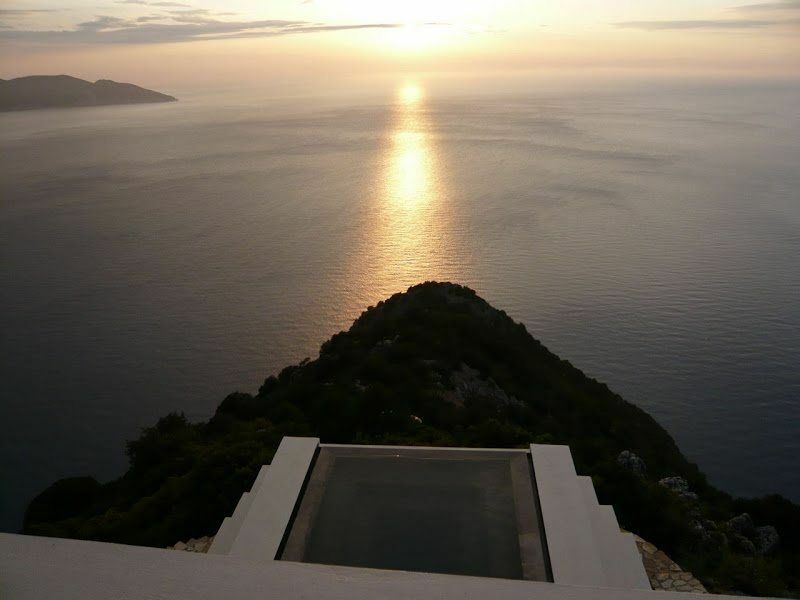 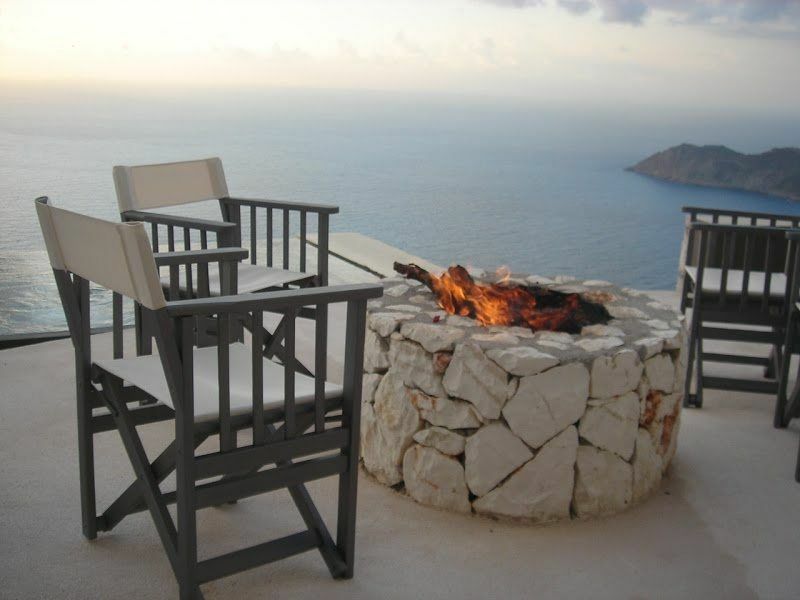 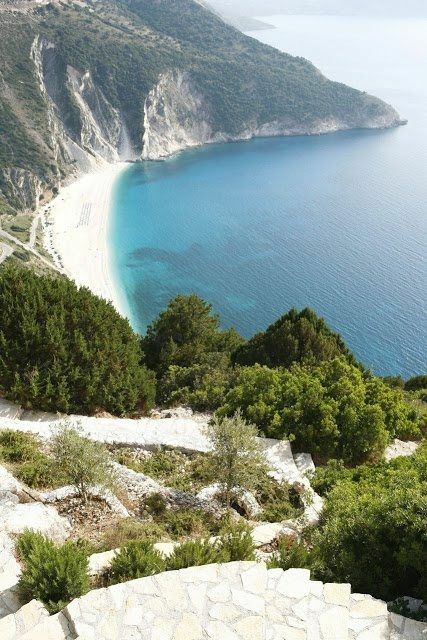 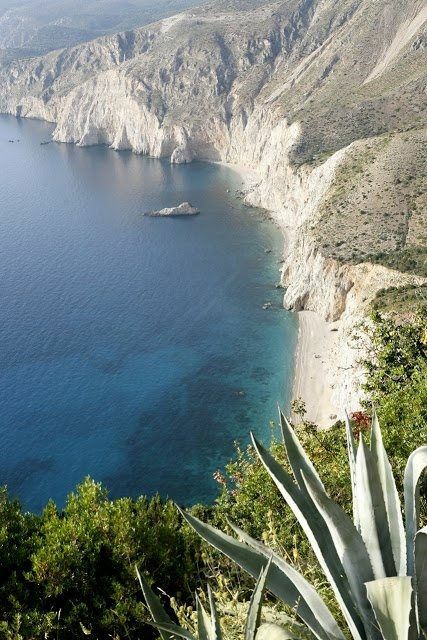 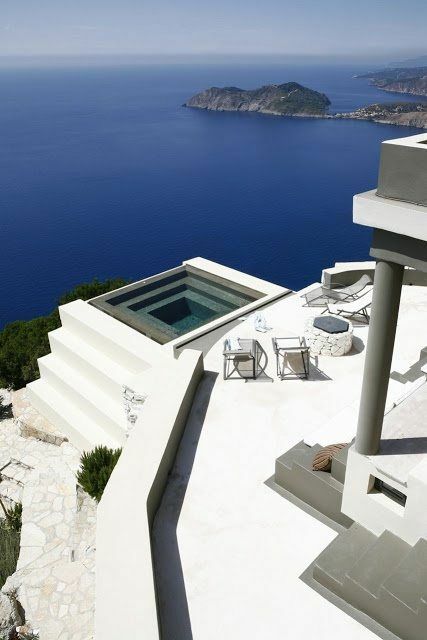 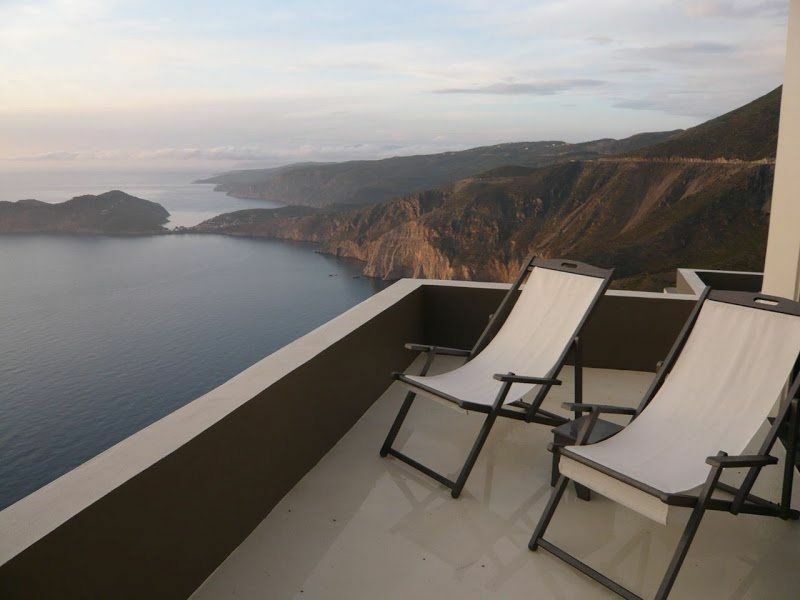 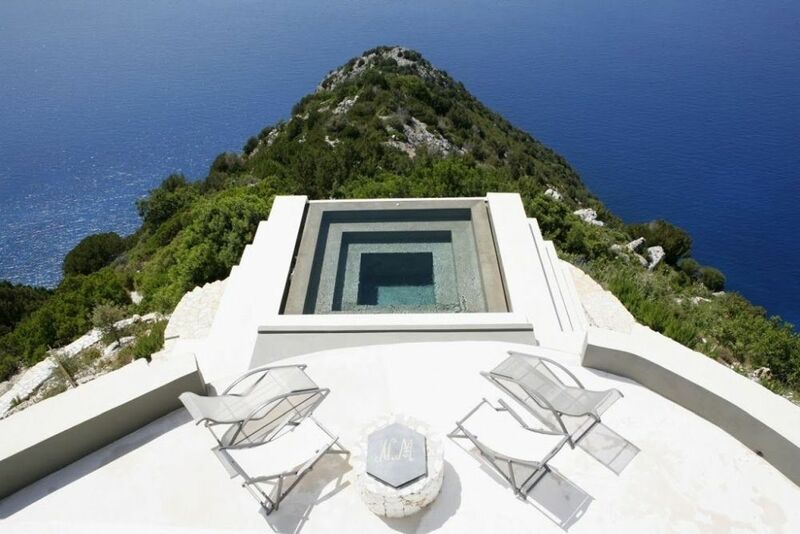 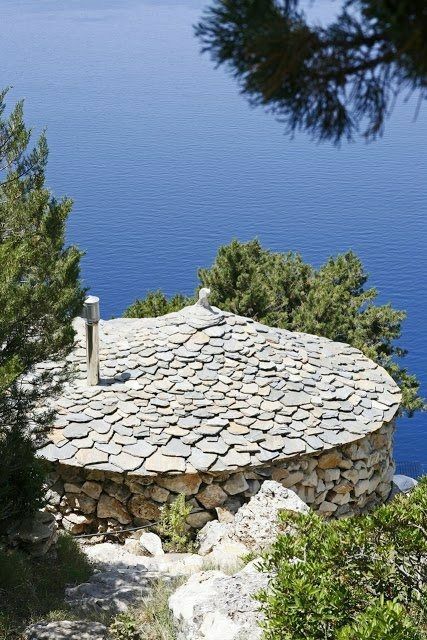 From here one can relax above the clouds to one of the most awe-inspiring views in the Ionian Islands.